Allen and Ginter has become one of the premiere chase sets for collectors. 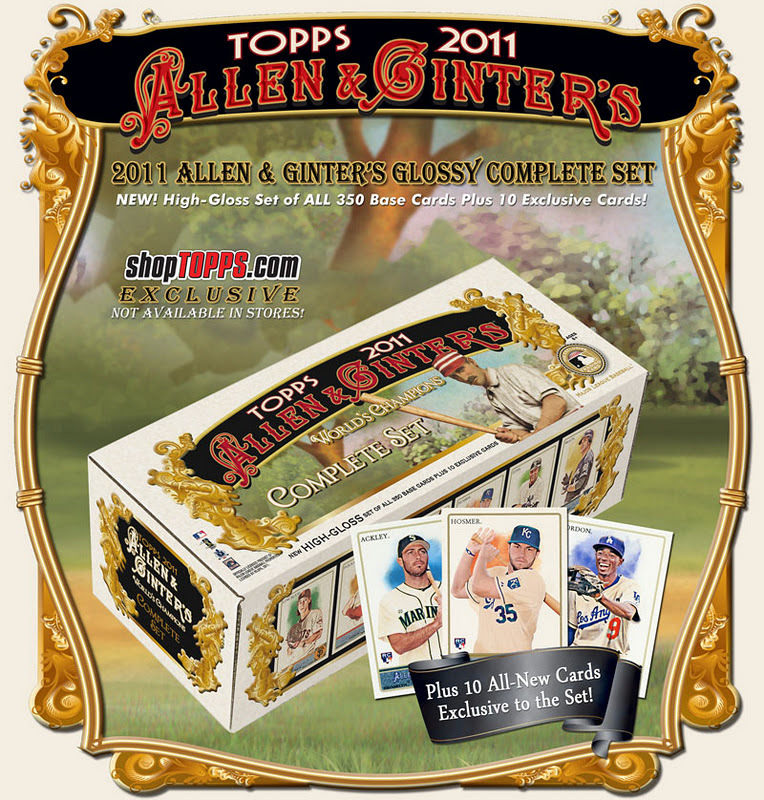 For the first time Topps is making Allen & Ginter Baseball available in complete set form. But the cards found in this set box will be different from those that can be purchased in retail packs and hobby boxes. Limited to 999 copies, all 360 cards of the Allen and Ginter base set will be glossy coated, just like the Topps Tiffany sets from the 1980’s, and each card will be sequentially numbered in gold foil. The complete set box will also contain 10 cards not found in the original release of 2011 Allen & Ginter. These cards include rookies Eric Hosmer, Mike Moustakas and Dustin Ackley. These special edition sets will be available exclusively on Topps’ website ShopTopps.com at the price of $99.95. I saw this too the other night. If I had already committed to building the set by hand I may be tempted. That ... is so wrong.